I think this fair is must to attend because it’s like an opportunity for anybody to learn some career tips by doing it professionally. 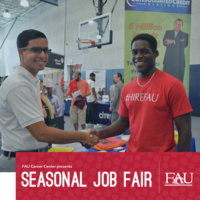 I really like that FAU has managed this fair for these students and check this https://britishessayreviews.net/reviews/edubirdie-com/ site to get more helpful tips related education. I will must go in this event to get some acknowledgement from youngsters as well as professionals. Career Centre did a great job by organizing this great fair because many people will get influenced with it and also they got a chance to get jobs I prefer to visit website to get helpful info. I am not able to attend this fair but I am happy for my brothers and sisters who will attend it to be benefited. So thank you very much for sharing all the details regarding this event.